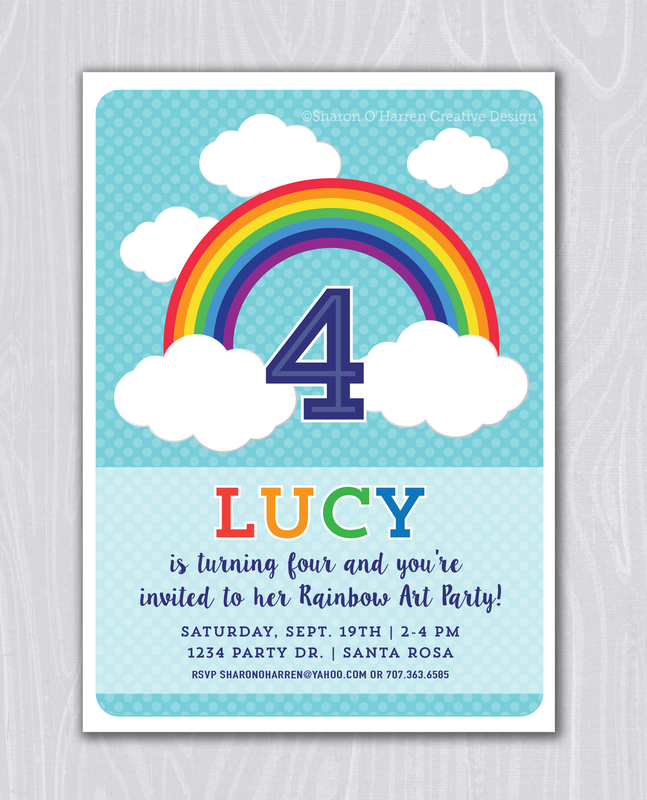 My daughter Lucy loves rainbows and art, so that was our theme for her 4th Birthday Party. I kept her invitation bright, clean and simple. 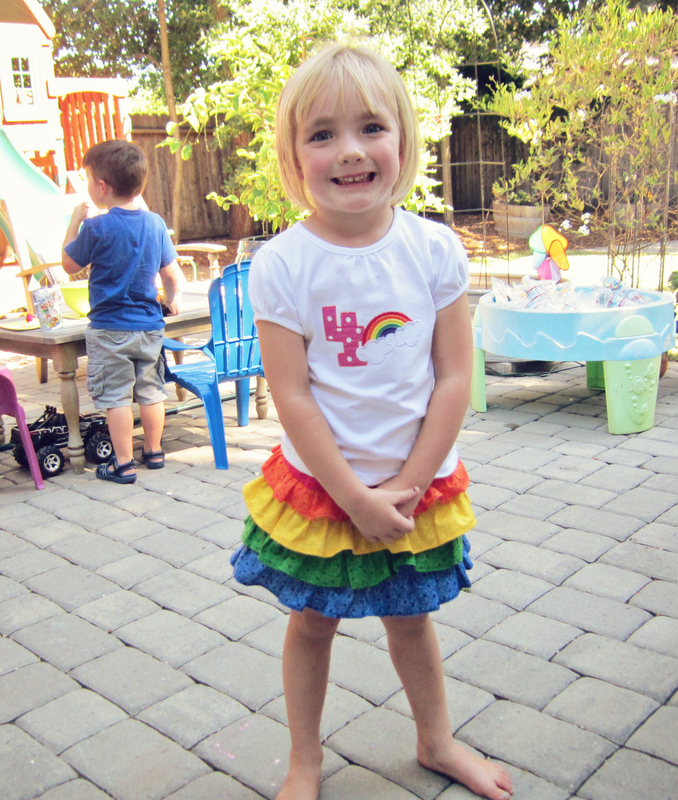 My mom made her adorable skirt and my friend Jennifer created her sweet custom shirt! Check out her Etsy shop!